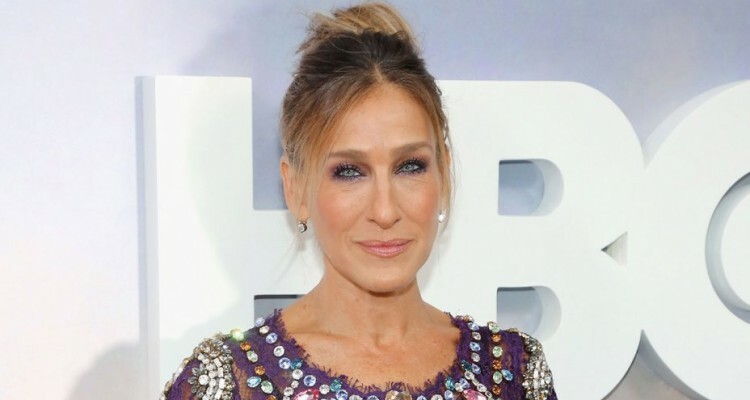 Move over, Kim Kardashian — Sarah Jessica Parker is the new queen of personal branding. The Divorce actress is launching her first stand-alone store for her eponymous shoe line, which had previously only been stocked at retailers like Bloomingdale’s, Nordstrom and Amazon. The store will be located in Washington, D.C.’s MGM National Harbor Resort and Casino, which is set to open Dec. 8. She has hosted pop-ups for SJP Collection in the past, and recently collaborated with Net-a-Porter on a higher-priced capsule collection. Not to mention, the actress also recently collaborated on a jewelry collection with Kat Florence, created her very own line of LBDs for Bloomingdale’s and launched a book publishing imprint for Penguin Random House. The online shopping extravaganza that is Cyber Monday far exceeded analysts’ expectations for this year, with more than $3.45 billion spent online. However, this figure is only $110 million less than online spending on Black Friday, meaning consumers chose to shop online all weekend rather than holding out for Monday’s deals. Mobile shopping declined slightly, with 47 percent of shoppers visiting sites via mobile devices; only 31 percent of sales were conducted on mobile devices. Lapo Elkann, founder of sunglasses brand Italia Independent and grandson of a former Fiat CEO, was in hot water over the weekend after he faked his own kidnapping in order to extort money from his family following a two-day bender in Manhattan. He was charged with falsely reporting a crime and later released. Despite all this, he is still scheduled to appear in Miami for Art Basel later this week for the unveiling of Italia Independent’s latest collaboration with Del Toro. Bespectacled YouTube phenom turned TV show host Tyler Oakley has teamed up with Warby Parker on a six-piece collection of eyeglasses and sunglasses based on three styles of the brand’s best-selling frames. Each pair comes in a limited-edition case and includes a cleaning cloth which doubles as a pocket square. The specs, each priced at $95, are now available on WarbyParker.com. Following in Tom Ford, Gucci and Burberry’s footsteps, both Bottega Veneta and Calvin Klein have announced plans to combine their men’s and women’s presentations into a single fashion show to take place during fashion month in February (in Milan and New York, respectively), which has traditionally been the stage for womenswear. Bottega Veneta showed a co-ed presentation in September in celebration of creative director Tomas Maier’s 15th anniversary at the brand. The Calvin Klein show will be the first under the creative direction of Raf Simons, who has had a successful run in the realms of both womenswear and menswear.